One of our members is in the possession of a rare Ai-Kakiemon plate and gladly shares his passion with the members of the VVAK. His Ai-Kakiemon plate stems from the “Kakiemon Old kiln site” and is made by Kakiemon IV (1673-1679) during the golden age of Kakiemon porcelain (1670-1690). 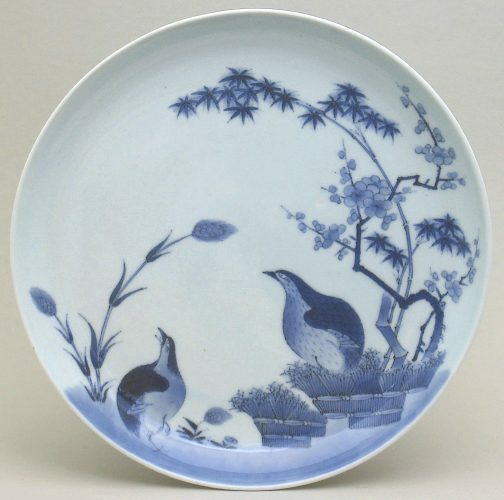 It is decorated with the classic “quail and millet” pattern with a typical scene of two quails beside millet and banded hedges beneath bamboo and flowering prunus. The reverse is painted with scrolling karakusa (flower bands) and a KIN gilt mark on the base. The diameter is 22.5 cm. Could you tell us more about the acquisition process? I bought the plate in 2007 with the help of an agent in Japan, who I befriended through an international Asian porcelain society. It was offered at a local online auction house in Japan as old-Kutani. My agent and I quickly realised it was an Ai-Kakiemon piece. The auction was without reserve and the competiton was, due to the wrong description, limited. What attracts you so much in this plate? This early Kakiemon plate is of a truly exceptional artisctic level and of great historical value. It is a piece of museum quality and it is increasingly rare outside of collections. Not many people have actually handled them. 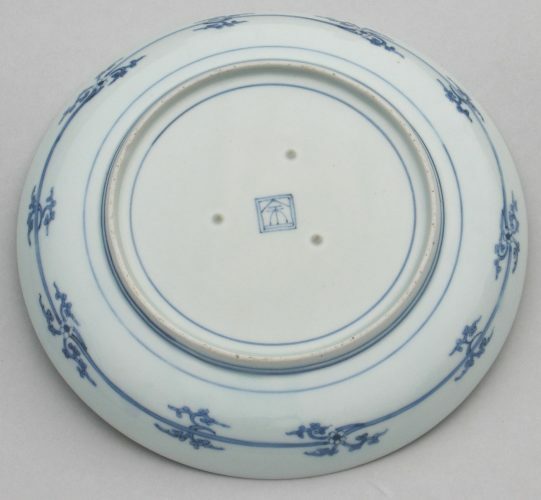 The plate is an icon of 17th century Ai-Kakiemon ware and I am grateful that I am able to enjoy it every day.